Charlotte's passion and love for dogs has started this beautiful foundation. Charlotte's Litter functions in memory of Charlotte Bacon whose life was lost during the Sandy Hook school tragedy in December 2012. Charlotte's Litter was created as an additional arm of Newtown Kindness, a non-profit which keeps Charlotte's memory alive by fostering compassion in children and inspiring life-long contributors to society. Charlotte's Litter advocates for animal assisted therapy programs and seeks to give people resources to provide input and guidance about therapy dog programs in educational and societal settings. Their goal is to help people who have faced trauma recover by their use of the animal their daughter loved so much, dogs. 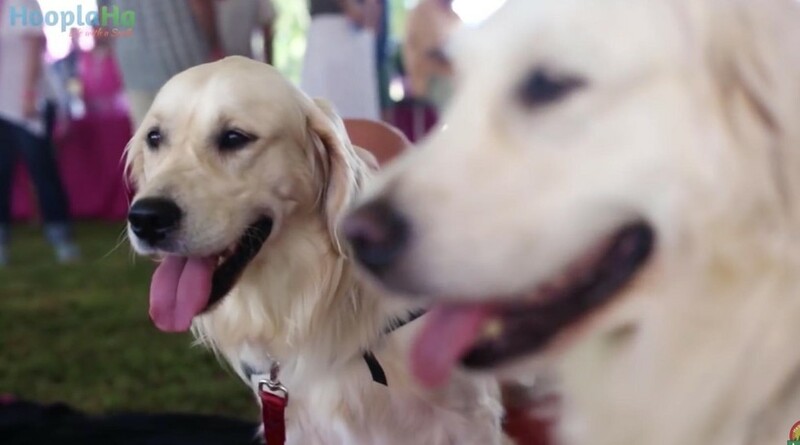 In this video you will join a beach party to welcome a new school year, at a playground built and dedicated to Charlotte, to help raise awareness for their program and the impact dogs can have on helping those who have faced tragedy. You are always in our hearts, Charlotte! Follow what they're up to on their Facebook page! This video was produced by Lucia Nazzaro and shot/edited by Matthew Kravitsky. Want to hear more awesome stories about animals? Visit our Heartwarming Animals YouTube channel, part of the HooplaHa Network…and don't forget to smile!